Celebrating “Style Over Substance” In Horror | Birth.Movies.Death. When film criticism declares a movie is “style over substance,” does that incite you to queue up at the box office or convince you to wait for streaming? For many, there’s a wave of negative connotation and apathy paired with the phrase, as if too much style is a bad omen, something to approach with trepidation and preconception. While arthouse films and Oscar bait are occasionally granted immunity, movies touted as having more style over substance are seemingly wrapped in caution tape or at worst, avoided completely. Whether discussing movies like Nicolas Winding Refn’s Drive, Quentin Tarantino’s Kill Bill or arguably Baz Luhrmann’s entire career, movies are made to evoke emotion. If a movie can elicit that response without the crutches of melodrama or plot ploys, shouldn’t that be worthy of praise, too? There’s room for abstraction in filmmaking and criticism alike, and in some cases—particularly in horror and genre films—an abundance of style can add to a movie’s clout. Style can be the substance. Horror isn’t merely a vessel for style—it thrives on it. From a narrative perspective, the genre tends to run wild with overindulgent tropes and explanation. Varying audiovisual and editing techniques can help a horror film find its footing as it builds its story and compounds mystery. After all, the genre is rooted in shock and surprise, therefore, nonlinear or nontraditional techniques can help an It Follows or The Witch stand out from the pack. Look no further than the Italian giallo film for proof on how style sculpts the surrounding world and influences storytelling. Often praised for visuals, music and editing, giallo films traverse a tightrope between art cinema and modern-day slashers. Composers like Ennio Morricone, the band Goblin and Fabio Frizzi, a frequent collaborator of Lucio Fulci’s, have laid auditory groundwork that’s not only seminal in its own right, but imperative in the construction of atmosphere and mood that gives these movies life. While Fulci, Mario Bava and Sergio Martino are a few of the directors known for popularizing the era’s style, Dario Argento is an auteur who heavily impacted modern horror. 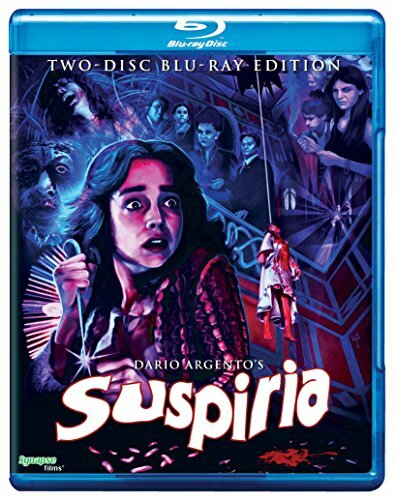 His style is singular and by design, delivering some of the standouts of the ‘70s and ‘80s: The Bird With the Crystal Plumage, Deep Red, and of course, the eerie, dazzling Suspiria. The story about a prestigious dance academy fronting for a coven of witches is bathed in vivid color that lights up every frame and fuels the nightmarish setting. Along with Goblin’s hypnotic score, viewers’ anxiety churns as we barrel toward the horrors the school has in store. It’s a visual masterpiece with an off-kilter tone that bolsters the story and catapults the film to greatness. Suspiria and the work of Argento’s contemporaries left a permanent mark on horror going forward and that’s pretty...substantial, if you ask me. Luca Guadagnino’s take on the Argento classic follows suit. The vision for Suspiria 2.0 is entirely unique; Guadagnino avoids Argento’s splashes of color opting for grim, cold imagery instead. With a moody array of browns, blacks and blues, the set design and costumes help carve out his own story, one that would barely exist without a decisive mise en scène. The movie’s alternating use of slow motion and whip zooms, for example, help give it a ‘70s feel without diving too deep into its predecessor’s waters. While I took issue with Suspiria for other reasons, its technical prowess is undeniably its lifeblood. It was wildly imaginative and the importance of that should never be understated. Style continues to shape modern horror and at its most effective, nurture subtlety in storytelling. The wintery bleakness of Oz Perkins’ The Blackcoat’s Daughter creates a world of dread surrounding two schoolgirls left behind at their boarding school over break. An evil force infiltrates the girls’ lives, yet what isn’t directly spoken or explained is put into context thanks to the film’s dreary look and cinematography. The movie’s slow-cooked tension bubbles under the surface giving the mystery room to breathe before the rug is completely pulled out from under us. It’s an effective slow burn that wouldn’t have the same effect otherwise. For what the movie lacks in story, it makes up for in feeling. A unique take like this can help movies avoid pitfalls in storytelling. Too often in horror do we see narratives and mythologies take off like runaway shopping carts in a parking lot. The Blackcoat’s Daughter is a prime example of how less is actually way more. We should never undervalue or underappreciated the importance of style in filmmaking. When critics or Film Twitter throw down the “style over substance” judgement, it’s often a knock to a movie’s depth or inherent value. But film is an art comprised of choices, a vision, and most importantly, a feeling meant to be conveyed and transferred to the audience. While style may be just one piece of an intricate puzzle, it can elevate a story to incredible heights. To those who argue that style isn’t the meat of any project, I’d counter by saying it’s the secret sauce; its mystery and flavor are just as important to the meal. Nick Caruso is an entertainment writer obsessed with Buffy, music and horror movies. 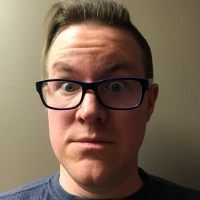 When he's not binge-watching everything Shudder has to offer, he covers all things pop culture on his blog, The Littlest Winslow. Follow him on Twitter @LittlestWinslow.